listen) or, rarer [²uslu] or [¹uʃlu]) is the capital of and most populous city in Norway. Oslo constitutes a county and a municipality. Founded around 1000 AD, and established a "kaupstad" or trading place in 1048 by King Harald III, the city was elevated to a bishopric in 1070 and a capital under Haakon V around 1300. Personal unions with Denmark from 1397 to 1523 and again from 1536 to 1814 and with Sweden from 1814 to 1905 reduced its influence. After being destroyed by a fire in 1624, the city was moved closer to Akershus Castle during the reign of King Christian IV and renamed Christiania in his honour. It was established as a municipality (formannskapsdistrikt) on 1 January 1838. Following a spelling reform, it was known as Kristiania from 1877 to 1925, when its original Norwegian name was restored. Oslo is considered a global city and ranked "Beta World City" in studies performed by the Globalization and World Cities Study Group and Network in 2008. It was ranked number one in terms of quality of life among European large cities in the European Cities of the Future 2012 report by fDi Magazine. A survey conducted by ECA International in 2011 placed Oslo as the second most expensive city in the world for living expenses after Tokyo. In 2013 Oslo tied with the Australian city of Melbourne as the fourth most expensive city in the world, according to the Economist Intelligence Unit (EIU)'s Worldwide Cost of Living study. As of January 2013 city of Oslo has population of 623,000. 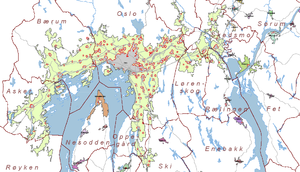 Metropolitan area of Oslo has a population of 1,502,604, of whom 951,581 live in the contiguous conurbation. The population currently increases at record rates, making it the fastest growing major city in Europe. This growth stems for the most part from immigration and high birth rates among immigrants, but also from intra-national migration. The immigrant population in the city is growing somewhat faster than the Norwegian population, and in the city proper is now more than 25%. As of January 2013, the population of the municipality of Oslo in excess of 623,000. The urban area extends beyond the boundaries of the municipality into the surrounding county of Akershus, (municipalities of Bærum, Asker, Røyken, Lørenskog, Skedsmo, Gjerdrum, Sørum, Oppegård) its agglomeration total 951,581 inhabitants. The metropolitan area of Oslo, also referred to as the Greater Oslo Region (Norwegian: Stor-Osloregionen), has a land area of 8,900 km2 (3,400 sq mi) with a population of 1,422,442 as of 1 April 2010. The Inner Oslo Fjord Region, or the Capital Region made up by the five counties of Oslo, Akershus, Buskerud, Vestfold (west bank of the Oslo fjord) and Østfold (east bank) has a population of 1,980,116 people (as of January 2013). The city centre is situated at the end of the Oslofjord, from which point the city sprawls out in three distinct "corridors" from its centre; inland north-eastwards, and southwards along both sides of the fjord, which gives the urbanized area a shape reminiscent of an upside-down reclining "Y" (on maps, satellite pictures, or from high above the city). To the north and east, wide forested hills (Marka) rise above the city giving the location the shape of a giant amphitheatre. The urban municipality (bykommune) of Oslo and county of Oslo (fylke) are two parts of the same entity, making Oslo the only city in Norway where two administrative levels are integrated. 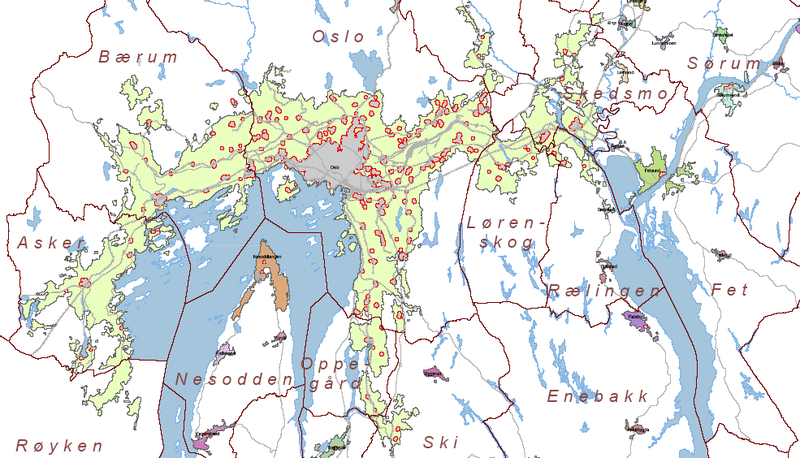 Of Oslo's total area, 115 km2 (44 sq mi) is built-up and 7 km2 (2.7 sq mi) is agricultural. The open areas within the built-up zone amount to 22 km2 (8.5 sq mi). The city of Oslo was established as a municipality on 3 January 1838 (see formannskapsdistrikt). It was separated from the county of Akershus to become a county of its own in 1842. The rural municipality of Aker was merged with Oslo on 1 January 1948 (and simultaneously transferred from Akershus county to Oslo county). Furthermore, Oslo shares several important functions with Akershus county. The origin of the name Oslo has been the subject of much debate. It is certainly derived from Old Norse and was—in all probability—originally the name of a large farm at Bjørvika, but the meaning of that name is disputed. Modern linguists generally interpret the original Óslo or Áslo as either "Meadow at the Foot of a Hill" or "Meadow Consecrated to the Gods", with both considered equally likely. Erroneously, it was once assumed that "Oslo" meant "the mouth of the Lo river", a supposed previous name for the river Alna. However, not only has no evidence been found of a river "Lo" predating the work where Peder Claussøn Friis first proposed this etymology, but the very name is ungrammatical in Norwegian: the correct form would have been Loaros (cf. Nidaros). The name Lo is now believed to be a back-formation arrived at by Friis in support of his spurious etymology for Oslo. Oslo is one of very few cities in Norway, besides Bergen and Tønsberg, that does not have a formal coat of arms, but which uses a city seal instead. The seal of Oslo shows the city's patron saint, St. Hallvard, with his attributes, the millstone and arrows, with a naked woman at his feet. He is seated on a throne with lion decorations, which at the time was also commonly used by the Norwegian Kings. Det Kongelige Slott (The Royal Palace) is the home of the Royal Family. Template:Oslo major events timeline According to the Norse sagas, Oslo was founded around 1049 by King Harald Hardråde. Recent archaeological research has uncovered Christian burials which can be dated to prior to AD 1000, evidence of a preceding urban settlement. This called for the celebration of Oslo's millennium in 2000. It has been regarded as the capital city since the reign of King Haakon V (1299–1319), the first king to reside permanently in the city. He also started the construction of the Akershus Castle. A century later, Norway was the weaker part in a personal union with Denmark, and Oslo's role was reduced to that of provincial administrative centre, with the monarchs residing in Copenhagen. The fact that the University of Oslo was founded as late as 1811 had an adverse effect on the development of the nation. Oslo was destroyed several times by fire, and after the fourteenth calamity, in 1624, King Christian IV of Denmark and Norway ordered it rebuilt at a new site across the bay, near Akershus Castle and given the name Christiania. Long before this, Christiania had started to establish its stature as a centre of commerce and culture in Norway. The part of the city built starting in 1624 is now often called Kvadraturen because of its orthogonal layout. The last plague outbreak ravaged Oslo in 1654. In 1814 Christiania once more became a real capital when the union with Denmark was dissolved. Many landmarks were built in the 19th century, including the Royal Palace (1825–1848); Stortinget (the Parliament) (1861–1866), the University, Nationaltheatret and the Stock Exchange. Among the world-famous artists who lived here during this period were Henrik Ibsen and Knut Hamsun (the latter was awarded the Nobel Prize for literature). In 1850, Christiania also overtook Bergen and became the most populous city in the country. In 1877 the city was renamed Kristiania. The original name of Oslo was restored in 1925. Under the reign of King Olav Kyrre, Oslo became a cultural centre for Eastern Norway. St. Hallvard became the city's patron saint and is depicted on the city's seal. In 1174, Hovedøya Abbey (Hovedøya kloster) was built. The churches and abbeys became major owners of large tracts of land, which proved important for the city's economic development, especially before the Black Death. During the Middle Ages, Oslo reached its heights in the reign of King Haakon V. He started the building of Akershus Castle and was also the first king to reside permanently in the city, which helped to make Oslo the capital of Norway. In the end of the 12th century, Hanseatic traders from Rostock moved into the city and gained major influence in the city. The Black Death came to Norway in 1349 and, like other cities in Europe, the city suffered greatly. The churches' earnings from their land also dropped so much that the Hanseatic traders dominated the city's foreign trade in the 15th century. Over the years, fire destroyed major parts of the city many times, as many of the city's buildings were built entirely of wood. After the last fire in 1624, which lasted for three days, King Christian IV decided that the old city should not be rebuilt again. His men built a network of roads in Akershagen near Akershus Castle. He demanded that all citizens should move their shops and workplaces to the newly built city of Christiania. The transformation of the city went slowly for the first hundred years. Outside the city, near Vaterland and Grønland near Old Town, Oslo, a new, unmanaged part of the city grew up with citizens of low status. In the 18th century, after the Great Northern War, the city's economy boomed with shipbuilding and trade. The strong economy transformed Christiania into a trading port. In the 19th century, several state institutions were established and the city's role as a capital intensified. Christiania expanded its industry from 1840, most importantly around Akerselva. The expansion prompted the authorities to construct several important buildings, most of which remain as tourist attractions. There was a brief building boom from 1880, with many new houses, but the boom collapsed in 1889. The municipality developed new areas such as Ullevål Hageby (1918–1926) and Torshov (1917–1925). City Hall was constructed in the former slum area of Vika, from 1931–1950. The municipality of Aker was incorporated into Oslo in 1948, and suburbs were developed, such as Lambertseter (from 1951). Aker Brygge was constructed on the site of the former shipyard Akers Mekaniske Verksted, from 1982–1998. In the 2011 Norway terror attacks, Oslo was hit by a bomb blast that ripped through the Government quarter, damaging several buildings including the building that houses the Office of the Prime Minister. Eight people were killed in the bomb attack. The Barcode skyline seen from a new residential neighbourhood in the harbour district. Oslo occupies an arc of land at the northernmost end of the Oslofjord. The fjord, which is nearly bisected by the Nesodden peninsula opposite Oslo, lies to the south; in all other directions Oslo is surrounded by green hills and mountains. There are 40 islands within the city limits, the largest being Malmøya (0.56 km2 or 0.22 sq mi), and scores more around the Oslofjord. Oslo has 343 lakes, the largest being Maridalsvannet (3.91 km2 or 1.51 sq mi). This is also a main source of drinking water for large parts of Oslo. A map of the urban areas of Oslo in 2005. The grey area in the middle indicates Oslo's city centre. Although Eastern Norway has a number of rivers, none of these flow into the ocean at Oslo. Instead Oslo has two smaller rivers: Akerselva (draining Maridalsvannet, which flows into the fjord in Bjørvika), and Alna. The waterfalls in Akerselva gave power to the first modern industry of Norway in the 1840, and later in the century, the river became the symbol of the stable and consistent economic and social divide of the city into an East End and a West End; the labourers' neighbourhoods lie on both sides of the river, and the divide in reality follows Uelands street a bit further west. River Alna flows through Groruddalen, Oslo's major suburb and industrial area. The highest point is Kirkeberget, at 629 metres (2,064 ft). Although the city's population is small compared to most European capitals, it occupies an unusually large land area, of which two-thirds are protected areas of forests, hills and lakes. Its boundaries encompass many parks and open areas, giving it an airy and green appearance. A climate chart of Oslo, Norway. The red line depicts daytime high; blue is nighttime low. Oslo has a humid continental climate (Dfb according to the Köppen climate classification system). Because of the city's northern latitude, daylight varies greatly, from more than 18 hours in midsummer, when it never gets completely dark at night, to around 6 hours in midwinter. Despite its high latitude and northerly location, the climate is not severely cold due to the onshore air-masses in winter and the coastal location of the city. Oslo has mild to warm summers with average high temperatures of around 19–24 °C (66–75 °F) and lows of around 12 °C (54 °F). The highest temperature ever recorded was 35 °C (95 °F) on 21 July 1901. Winters are cold and snowy with temperatures between −7 °C (19 °F) up to −1 °C (30 °F). The coldest temperature recorded is −27.1 °C (−16.8 °F) in January 1942. Temperatures have tended to be higher in recent years. Annual precipitation is 763 millimetres (30.0 in) with moderate rainfall throughout the year. Snowfall can occur from October to May, but snow accumulation occurs mainly from January through March. Almost every winter, ice develops in the innermost parts of the Oslofjord, and during some winters the whole inner fjord freezes. As it is far from the mild Atlantic water of the west coast, this large fjord can freeze over completely, although this has become rare. Oslo receives around 1,650 hours of sunshine annually and is average for the northern half of Europe. Oslo has a large number of parks and green areas within the city core, as well as outside it. Bygdøy is a large green area, commonly called the Museum Peninsula of Oslo. The area is surrounded by the sea and one of the most expensive district in Norway. St. Hanshaugen Park is an old public park on a high hill in central Oslo. 'St. Hanshaugen' is also the name of the surrounding neighborhood as well as the larger administrative district (borough) that includes major parts of central Oslo. Tøyen Park stretches out behind the Munch Museum, and is a vast, grassy expanse. In the north, there is a viewing point known as Ola Narr. The Tøyen area also includes the Botanical Garden and Museum belonging to the University of Oslo. Oslo (with neighbouring Sandvika-Asker) is built in a horseshoe shape on the shores of the Oslofjord and limited in most directions by hills and forests. As a result, any point within the city is relatively close to the forest. There are two major forests bordering the city: Østmarka (literally "Eastern Forest", on the eastern perimeter of the city), and the very large Nordmarka (literally "Northern Forest", stretching from the northern perimeter of the city deep into the hinterland). The municipality operates eight public swimming pools. Tøyenbadet is the largest indoor swimming facility in Oslo and one of the few pools in Norway offering a 50-metre main pool. The outdoor pool Frognerbadet also has the 50-metre range. Oslo's cityscape is being redeveloped as a modern city with various access-points, an extensive metro-system with a new financial district and a cultural city. In 2008, an exhibition was held in London presenting the award-winning Oslo Opera House, the urban regeneration scheme of Oslo's seafront, Munch/Stenersen and the new Deichman Library. Most of the buildings in the city and in neighbouring communities are low in height with only the Plaza, Postgirobygget and the highrises at Bjørvika considerably taller. Oslo's architecture is very diverse. The architect Carl Frederik Stanley (1769–1805), who was educated in Copenhagen, spent some years in Norway around the turn of the 19th century. He did minor works for wealthy patrons in and around Oslo, but his major achievement was the renovation of the Oslo Katedralskole, completed in 1800. He added a classical portico to the front of an older structure, and a semicircular auditorium that was sequestered by Parliament in 1814 as a temporary place to assemble, now preserved at Norsk Folkemuseum as a national monument. When Christiania was made capital of Norway in 1814, there were practically no buildings suitable for the many new government institutions. An ambitious building program was initiated, but realised very slowly because of economic constraints. The first major undertaking was the Royal Palace, designed by Hans Linstow and built between 1824 and 1848. Linstow also planned Karl Johans gate, the avenue connecting the Palace and the city, with a monumental square halfway to be surrounded by buildings for University, the Parliament (Storting) and other institutions. Only the university buildings were realised according to this plan. Christian Heinrich Grosch, one of the first architects educated completely within Norway, designed the original building for the Oslo Stock Exchange (1826–1828), the local branch of the Bank of Norway (1828), Christiania Theatre (1836–1837), and the first campus for the University of Oslo (1841–1856). For the university buildings, he sought the assistance of the renowned German architect Karl Friedrich Schinkel. German architectural influence persisted in Norway, and many wooden buildings followed the principles of Neoclassicism. In Oslo, the German architect Alexis de Chateauneuf designed Trefoldighetskirken, the first neo-gothic church, completed by von Hanno in 1858. A number of landmark buildings, particularly in Oslo, were built in the Functionalist style (better known in the US and Britain as Modernist), the first being Skansen restaurant (1925–1927) by Lars Backer, demolished in 1970. Backer also designed the restaurant at Ekeberg, which opened in 1929. Kunstnernes Hus art gallery by Gudolf Blakstad and Herman Munthe-Kaas (1930) still shows the influence of the preceding classicist trend of the 1920s. The redevelopment of Oslo Airport (by the Aviaplan consortium) at Gardermoen, which opened in 1998, was Norway's largest construction project to date. The art gallery of Astrup Fearnley Museum of Modern Art in Oslo. Stortinget is the seat of Norway's parliament. Oslo is the capital of Norway, and as such is the seat of Norway's national government. Most government offices, including that of the Prime Minister, are gathered at Regjeringskvartalet, a cluster of buildings close to the national Parliament—the Storting. The combined municipality and county of Oslo has had a parliamentary system of government since 1986. The supreme authority of the city is the City Council (Bystyret), which currently has 59 seats. Representatives are popularly elected every four years. The City Council has five standing committees, each having its own areas of responsibility. The largest parties in the City Council after the 2011-elections are the Conservatives and the Labour Party, with 22 and 20 representatives respectively. The Mayor of Oslo is the head of the City Council and the highest ranking representative of the city. This used to be the most powerful political position in Oslo, but following the implementation of parliamentarism, the Mayor has had more of a ceremonial role, similar to that of the President of the Storting at the national level. The current Mayor of Oslo is Fabian Stang. Since the local elections of 2003, the city government has been a coalition of the Conservative Party and the Progress Party. Based mostly on support from the Christian Democrats and the Liberals, the coalition maintains a workable majority in the City Council. After the 2007 local elections on 10 September, the conservative coalition remained in majority. After the elections in 2011 the Conservative Party remained in power after a strong election. The Progress Party chose to leave the city government after losing support in the election and a dispute over the new Munch Museum. The Liberals and the Christian Democrats replaced the Progress Party in the city government. The Governing Mayor of Oslo is the head of the City government. The post was created with the implementation of parliamentarism in Oslo and is similar to the role of the prime minister at the national level. The current governing mayor is Stian Berger Røsland. Office buildings in Bjørvika, part of the redesign of former dock and industrial land in Oslo known as The Barcode Project. Oslo has a varied and strong economy and was ranked number one among European large cities in economic potential in the fDi Magazine report European Cities of the Future 2012. It was ranked 2nd in the category of business friendliness, behind Amsterdam. Oslo is an important centre of maritime knowledge in Europe and is home to approximately 1980 companies and 8,500 employees within the maritime sector, some of which are the world's largest shipping companies, shipbrokers, and insurance brokers. Det Norske Veritas, headquartered at Høvik outside Oslo, is one of the three major maritime classification societies in the world, with 16.5% of the world fleet to class in its register. The city's port is the largest general cargo port in the country and its leading passenger gateway. Close to 6,000 ships dock at the Port of Oslo annually with a total of 6 million tonnes of cargo and over five million passengers. The gross domestic product of Oslo totalled NOK268.047 billion ( billion) in 2003, which amounted to 17% of the national GDP. This compares with NOK165.915 billion ( billion) in 1995. The metropolitan area, bar Moss and Drammen, contributed 25% of the national GDP in 2003 and was also responsible for more than one quarter of tax revenues. In comparison, total tax revenues from the oil and gas industry on the Norwegian Continental Shelf amounted to about 16%. Oslo is one of the most expensive cities in the world. As of 2006, it is ranked tenth according to the Worldwide Cost of Living Survey provided by Mercer Human Resource Consulting and first according to the Economist Intelligence Unit. The reason for this discrepancy is that the EIU omits certain factors from its final index calculation, most notably housing. Although Oslo does have the most expensive housing market in Norway, it is comparably cheaper than other cities on the list in that regard. Meanwhile, prices on goods and services remain some of the highest of any city. Oslo hosts 2654 of the largest companies in Norway. Within the ranking of Europe's largest cities ordered by their number of companies Oslo is in fifth position. A whole group of oil and gas companies is situated in Oslo. According to a report compiled by Swiss bank UBS in the month of August 2006, Oslo and London were the world's most expensive cities. Oslo is a compact city. It is easy to move around by public transportation and you can access rentable city bikes all over the city centre. In 2003, Oslo received The European Sustainable City Award and in 2007 Reader's Digest ranked Oslo as number two on a list of the world's greenest, most liveable cities. The faculty of Law, University of Oslo. Norwegian School of Management (BI) main building. University of Oslo (Universitetet i Oslo (UiO))—undergraduate, graduate and PhD programs in most fields. Oslo and Akershus University College of Applied Sciences (Høgskolen i Oslo og Akershus (HiOA)), former Oslo University College. Focuses on 3–4-year professional degree programs. BI Norwegian Business School (Handelshøyskolen BI)—primarily economics and business administration. Oslo School of Management (Markedshøyskolen – MH) located at the Campus Kristiania education center. The level of education and productivity in the workforce is high in Norway. Nearly half of those with education at tertiary level in Norway live in the Oslo region, placing it among Europe's top three regions in relation to education. In 2008, the total workforce in the greater Oslo region (5 counties) numbered 1,020,000 people. The greater Oslo region has several higher educational institutions and is home to more than 73,000 students. The University of Oslo is the largest institution for higher education in Norway with 27,400 students and 7,028 employees in total. Oslo has a large and varied number of cultural attractions, which include several buildings containing artwork from Edvard Munch and various other international artists but also several Norwegian artists. Several world-famous writers have either lived or been born in Oslo. Examples are Knut Hamsun and Henrik Ibsen. The government has recently invested large amounts of money in cultural installations, facilities, buildings and festivals in the City of Oslo. Bygdøy, outside the city centre is the centre for history and the Norwegian Vikings' history. The area contains a large number of parks and seasites and many museums. Examples are the Fram Museum, Vikingskiphuset and the Kon-Tiki Museum. Oslo hosts the annual Oslo Freedom Forum, a conference described by The Economist as “on its way to becoming a human-rights equivalent of the Davos economic forum.” Oslo is also known for giving out the Nobel Peace Prize every year. Oslo houses several major museums and galleries. The Munch Museum contains the Scream and other works by Edvard Munch, who donated all his work to the city after his death. The City-Council is currently planning a new Munch Museum which is most likely to be built in Bjørvika, in the southeast of the city. The museum will be named Munch/Stenersen. 50 different museums are located around the city. Folkemuseet is located on the Bygdøy peninsula and is dedicated to Folk art, Folk Dress, Sami culture and the viking culture. The outdoor museum contains 155 authentic old buildings from all parts of Norway, including a Stave Church. The Vigeland Museum located in the large Frogner Park, is free to access and contains over 212 sculptures by Gustav Vigeland including an obelisk and the Wheel of Life. Another popular sculpture is Sinnataggen, a baby boy stamping his foot in fury. This statue is very well known as an icon in the city. There is also a newer landscaped sculpture park, Ekebergparken Sculpture Park, with works by Norwegian and international artists such as Salvador Dali. The Viking Ship Museum features three Viking ships found at Oseberg, Gokstad and Tune and several other unique items from the Viking age. The Oslo City Museum holds a permanent exhibition about the people in Oslo and the history of the city. The Kon-Tiki Museum houses Thor Heyerdahl's Kontiki and Ra2. The National Museum holds and preserves, exhibits and promotes public knowledge about Norway's most extensive collection of art. The Museum shows permanent exhibitions of works from its own collections but also temporary exhibitions that incorporate work loaned from elsewhere. The National Museums exhibition avenues are the National Gallery, the Museum of Contemporary Art, the National Museum, the Museum of Decorative Arts and the National Museum of Architecture. A new National Museum in Oslo will be built in the next 10 years. The winner was Forum Artis, and the building will be located at Vestbanen behind the Nobel Peace Center. The Nobel Peace Center is an independent organisation opened on 11 June 2005 by the King Harald V as part of the celebrations to mark Norway's centenary as an independent country. The building houses a permanent exhibition, expanding every year when a new Nobel Peace Prize winner is announced, containing information of every winner in history. The building is mainly used as a communication centre. A large number of festivals are held in Oslo, such as Oslo Jazz festival, a six-day Jazz festival which has been held annually in August for the past 25 years. Oslo's biggest Rock festival is Øyafestivalen or simply "Øya". It draws about 60,000 people to the Medieval Park east in Oslo and last for four days. The Oslo International Church Music Festival has been held annually since 2000. The Oslo World Music Festival showcases people who are stars in their own country but strangers in Norway. The Oslo Chamber Music Festival is held in August every year and world-class chambers and soloists gather in Oslo to perform at this festival. The Norwegian Wood Rock Festival is held every year in June in Oslo. The Nobel Peace Prize Ceremony is headed by the Institute; the award ceremony is held annually in The City Hall on 10 December. Even though Sami land is far away from the capital, the Norwegian Museum of Cultural History marks the Sami National Day with a series of activities and entertainment. The World Cup Biathlon in Holmenkollen is held every year and here male and female competitors compete against each other in Sprint, Pursuit and Mass Start disciplines. Other examples of annual events in Oslo are Desucon, a convention focusing on Japanese culture and Færderseilasen, the world's largest overnight regatta with more than 1100 boats taking part every year. Rikard Nordraak, composer of the Norwegian national anthem, was born in Oslo in 1842. Norway's principal orchestra is the Oslo Philharmonic, based at the Oslo Concert Hall since 1977. Although it was founded in 1919, the Oslo Philharmonic can trace its roots to the founding of the Christiania Musikerforening (Christiania Musicians Society) by Edvard Grieg and Johan Svendsen in 1879. Oslo has hosted the Eurovision Song Contest twice. Oslo houses over 20 theatres, such as the Norwegian Theatre and the National Theatre located at Karl Johan Street. The National Theatre is the largest theatre in Norway and is situated between the royal palace and the parliament building, Stortinget. The names of Ludvig Holberg, Henrik Ibsen and Bjørnstjerne Bjørnson are engraved on the façade of the building over the main entrance. This theatre represents the actors and play-writers of the country but the songwriters, singers and dancers are represented in the form of a newly opened Oslo Opera House, situated in Bjørvika. The Opera was opened in 2008 and is a national landmark, designed by the Norwegian architectural firm, Snøhetta. There are two houses, together containing over 2000 seats. The building cost 500 million euro to build and took five years to build and is known for being the first Opera House in the world to let people walk on the roof of the building. The foyer and the roof are also used for concerts as well as the three stages. Most great Norwegian authors have lived in Oslo for some period in their life. For instance, Nobel Prize-winning author Sigrid Undset grew up in Oslo, and described her life there in the autobiographical novel Elleve år (1934; translated as The longest years; New York 1971). The playwright Henrik Ibsen is probably the most famous Norwegian author. Ibsen wrote plays such as Hedda Gabler, Peer Gynt, A Doll's House and The Lady from the Sea. The Ibsen Quotes project completed in 2008 is a work of art consisting of 69 Ibsen quotations in stainless steel lettering which have been set into the granite sidewalks of the city's central streets. In recent years, novelists like Lars Saabye Christensen, Tove Nilsen and Roy Jacobsen have described the city and its people in their novels. Early 20th-century literature from Oslo include poets Rudolf Nilsen and André Bjerke. The newspapers Aftenposten, Dagbladet, Verdens Gang, Dagens Næringsliv, Finansavisen, Dagsavisen, Morgenbladet, Vårt Land, Nationen and Klassekampen are published in Oslo. The main office of the national broadcasting company NRK is located at Marienlyst in Oslo, near Majorstuen. TVNorge (TVNorway) is also located in Oslo, while TV 2 (based in Bergen) and TV3 (based in London) operate branch offices in central Oslo. There is also a variety of specialty publications and smaller media companies. A number of magazines are produced in Oslo. The two dominant companies are Aller Media and Hjemmet Mortensen AB. Holmenkollen National Arena and Holmenkollbakken is the country's main biathlon and Nordic skiing venue. It hosts annual world cup tournaments, including the Holmenkollen Ski Festival. It has hosted Biathlon World Championships in 1986, 1990, 1999 and 2002. FIS Nordic World Ski Championships have been hosted in 1930, 1966, 1982 and 2011, as well as the 1952 Winter Olympics. Ullevål Stadion is the home arena for the Tippeligaen football side Vålerenga Fotball, the Norwegian national football team and the Football Cup Final. The stadium has previously hosted the finals of the UEFA Women's Championship in 1987 and 1997, and the 2002 UEFA European Under-19 Football Championship. Røa IL is Oslo's only team in the women's league, Toppserien. Each year, the international youth football tournament Norway Cup is held on Ekebergsletta and other places in the city. Bislett Stadion is the city's main track and field venue, and hosts the annual Bislett Games, part of IAAF Diamond League. Bjerke Travbane is the main venue for harness racing in the country. Oslo Spektrum is used for large ice hockey and handball matches. Bækkelagets SK and Nordstrand IF plays in the women's Postenligaen in handball, while Vålerenga Håndball plays in the men's league. Jordal Amfi, the home of the ice hockey team Vålerenga Ishockey, and Manglerudhallen is the home of Manglerud Star, both of whom play in GET-ligaen. The 1999 IIHF World Championship in ice hockey were held in Oslo, as have three Bandy World Championships, in 1961, 1977 and 1985. The UCI Road World Championships in bicycle road racing were hosted 1993. Oslo is currently bidding to host the 2022 Winter Olympics. Oslo Police District is Norway's largest police district with over 2,300 employees. Over 1,700 of those are police officers, nearly 140 police lawyers and 500 civilian employees. Oslo Police District has five police stations located around the city. The National Criminal Investigation Service is located in Oslo, which is a Norwegian special police division under the NMJP. PST is also located in the Oslo District. PST is a security agency which was established in 1936 and is one of the non-secret agencies in Norway. Oslo police stated that the capital is one of Europe's safest, but statistics have showed that crime in Oslo is on the rise, and some media have reported that there are four times as many thefts and robberies in Oslo than in New York City for example. According to the Oslo Police, they receive more than 15,000 reports of petty thefts annually. Approximately 0.8% of those cases get solved. On 22 July 2011, Oslo was the site of one of two terrorist attacks: the bombing of Oslo government offices. Oslo has Norway's most extensive public transport system, managed by Ruter. This includes the six-line Oslo Metro, the world's most extensive metro per resident, the six-line Oslo Tramway and the eight-line Oslo Commuter Rail. The tramway operates within the areas close to the city centre, while the metro, which runs underground through the city centre, operates to suburbs further away; this includes two lines that operate to Bærum, and the Ring Line which loops to areas north of the centre. Oslo is also covered by a bus network consisting of 32 city lines as well as regional buses to the neighboring county of Akershus. Oslo Central Station acts as the central hub, and offers rail services to most major cities in southern Norway as well as Stockholm and Gothenburg in Sweden. The Airport Express Train operates along the high-speed Gardermoen Line. The Drammen Line runs under the city centre in the Oslo Tunnel. Some of the city islands and the neighbouring municipality of Nesodden are connected by ferry. Daily cruiseferry services operate to Copenhagen and Frederikshavn in Denmark, and to Kiel in Germany. Many of the motorways pass through the downtown and other parts of the city in tunnels. The construction of the roads is partially supported through a toll ring. The major motorways through Oslo are European Route E6 and E18. There are three beltways, the innermost which are streets and the outermost, Ring 3 which is a beltway. The main airport serving the city is Gardermoen Airport, located in Ullensaker, 47 kilometres (29 mi) from the city centre of Oslo. It acts as the main international gateway to Norway, and is the sixth-largest domestic airport in Europe. Gardermoen is a hub for Scandinavian Airlines, Norwegian Air Shuttle and Widerøe. Oslo is also served by two secondary airports, which serve some low-cost carriers, such as Ryanair: Rygge Airport and Torp Airport, the latter being 110 kilometres (68 mi) from the city. Flytoget (Airport Express Train); a High-speed rail connecting the city with its main airport, Oslo-Gardermoen Airport. Postgirobygget at Oslo central station. A rental bicycle station in the city center. Population of Oslo from 1801–2006, with yearly data from 1950–2006. The population of Oslo was by 2010 increasing at a record rate of nearly 2% annually (17% over the last 15 years), making it the fastest-growing Scandinavian capital. 432,000, or 70.4% of Oslo's population is ethnic Norwegian, an increase of 6% since 2002 (409,000). Oslo has the largest population of immigrants and Norwegian-born to immigrant parents in Norway, both in relative and absolute figures. Of Oslo’s 624,000 inhabitants, 189,400 were immigrants or Norwegian-born to immigrant parents, which is 30.4 per cent of the capital’s entire population. All suburbs in Oslo were above the national average of 14.1 per cent. The suburbs with the highest proportions of immigrants and Norwegian-born to immigrant parents were Søndre Nordstrand, Stovner og Alna, with around 50 per cent. Pakistanis make up the single largest ethnic minority, followed by Swedes, Somalis, and Poles —these are the four largest ethnic minority groups. Other large immigrant groups are people from Sri Lanka, Vietnam, Turkey, Morocco, Iraq and Iran. In 2013, 40% of Oslo's primary school pupils were registered as having another first language than Norwegian or Sami. The western part of the city is predominantly ethnic Norwegian, with several schools having less than 5% pupils with an immigrant background. The eastern part of Oslo is more mixed, with some schools up to 97% immigrant share. Schools are also increasingly divided by ethnicity, with white flight being present in some of the northeastern suburbs of the city. In the borough Groruddalen in 2008 for instance, the ethnic Norwegian population decreased by 1,500, while the immigrant population increased by 1,600. Oslo is a city with various religious communities. In 2008 63% of the population were members of the Church of Norway, lower than the national average of 82%. In 2011 almost 20% of the population were registered in other religious or life stance communities. In 2012, there were about 48,000 registered Muslims in Oslo, making up about 8% of the population, and about 33,000 registered Catholics. Life stance communities, mainly the Norwegian Humanist Association, had about 18,000 members in 2011. Oslo is a pilot city of the Council of Europe and the European Commission Intercultural cities programme. Oslo has a tradition of sending a Christmas tree every year to the cities of Washington D.C., New York City, London, Edinburgh, Rotterdam, Antwerp, and Reykjavík. Since 1947, Oslo has sent a 65–80-foot (20–25 m) high, 50 to 100-year-old spruce, as an expression of gratitude toward Britain for its support of Norway during World War II. ^ "Population and quarterly changes, Q2 2013". Statistics Norway. http://ssb.no/en/befolkning/statistikker/folkendrkv/kvartal/2013-08-16?fane=tabell&sort=nummer&tabell=132114. Retrieved 13 September 2013. ^ "Immigrants and Norwegian-born to immigrant parents by country of birth1,(the 20 largest groups).Selected municipalities.1 January 2011". Statistics Norway. http://www.ssb.no/innvbef_en/tab-2011-04-28-10-en.html. Retrieved 28 April 2011. ^ "dictionary.com". http://dictionary.reference.com/browse/oslo. Retrieved 6 August 2011. ^ "GaWC – The World According to GaWC 2008". Lboro.ac.uk. 13 April 2010. http://www.lboro.ac.uk/gawc/world2008t.html. Retrieved 23 July 2011. ^ a b Rachel Craig (13 February 2012). "European Cities and Regions of the Future 2012/13". fDiIntelligence.com. http://www.fdiintelligence.com/Locations/Europe/European-Cities-and-Regions-of-the-Future-2012-13. Retrieved 2013-03-12. ^ "Sydney rockets up the list of the world's most expensive cities". ECA International. 8 June 2011. http://www.eca-international.com/news/press_releases/7355/Sydney_rockets_up_the_list_of_the_world_s_most_expensive_cities. Retrieved 10 July 2011. ^ George Arnett; Chris Michael (14 February 2014). "The world's most expensive cities". The Guardian. http://www.theguardian.com/cities/datablog/2014/feb/14/most-expensive-cities. Retrieved 23 February 2014. ^ "Statistics Norway". Statistics Norway. www.ssb.no. http://www.ssb.no/english/subjects/02/02/folkendrkv_en/2012k4/kvart02-en.html. ^ "Population and area, by municipality". Ssb.no. 1 April 2011. http://www.ssb.no/english/subjects/02/02/folkendrkv_en/. Retrieved 10 April 2011. ^ "Oslo europamester i vekst – Nyheter – Oslo". Aftenposten.no. http://www.aftenposten.no/nyheter/oslo/article4070772.ece. Retrieved 3 June 2011. ^ "Ola og Kari flytter fra innvandrerne – Nyheter – Oslo". Aftenposten.no. http://www.aftenposten.no/nyheter/oslo/article3424942.ece. Retrieved 3 June 2011. ^ "Immigration and immigrants". Ssb.no. 1 January 2009. http://www.ssb.no/english/subjects/00/00/10/innvandring_en/. Retrieved 29 August 2009. ^ "Statistics from the SSB". Statistics Norway. www.ssb.no. http://www.ssb.no/english/subjects/02/02/folkendrkv_en/2012k4/kvart00-en.html. ^ "Statistisk sentralbyrå – Forside" (in Norwegian). Statistics Norway. www.ssb.no. http://www.ssb.no/. ^ cf. Bjorvand, Harald (2008): "Oslo." I: Namn och bygd 2008;Volum 96. ^ Jørgensen, Jon G.. "Peder Claussøn Friis". In Helle, Knut (in Norwegian). Store Norske Leksikon. Oslo: Kunnskapsforlaget. http://www.snl.no/.nbl_biografi/Peder_Clauss%C3%B8n_Friis/utdypning. ^ Heraldry of the World (2010). "Oslo byvåpen". ngw.nl. http://www.ngw.nl/int/nor/o/oslo.htm. Retrieved 5 July 2011. ^ "Inside Oslo : Inside". TripAdvisor. http://www.tripadvisor.com/Travel-g190479-s1/Oslo:Norway:Inside.html. Retrieved 25 March 2010. ^ Øivind Larsen. "DNMS.NO : Michael: 2005 : 03/2005 : Book review: Black Death and hard facts". Dnms.no. http://www.dnms.no/index.php?kat_id=16&art_id=87. Retrieved 3 November 2008. ^ Bård Alsvik. "Oslo kommune byarkivet (Oslo City Archives)". Oslo Kommune. http://www.byarkivet.oslo.kommune.no/OBA/tobias/tobiasartikler/tob2001-1_01.htm. Retrieved 23 September 2013. ^ Avknut A. Nygaard. "Aftenposten: Oslofjord frozen". Aftenposten.no. http://www.aftenposten.no/nyheter/iriks/article3497775.ece. Retrieved 27 June 2010. ^ "Minifacts about Norway 2013: Geography, climate and environment". Statistics Norway. March 2013. http://www.ssb.no/a/english/minifakta/en/main_02.html. Retrieved 25 September 2013. ^ "Climate Statistics for Oslo-Blindern, Norway (1961–1990)". 20 November 2011. http://www.theweathernetwork.com/statistics/c00090. ^ "Municipal swimming pools". Idrettsetaten.oslo.kommune.no. 16 June 2010. http://www.idrettsetaten.oslo.kommune.no/oslobadene/. Retrieved 27 June 2010. ^ "Regional accounts". Ssb.no. http://www.ssb.no/english/subjects/09/01/fnr_en/. Retrieved 10 June 2009. ^ "Norwegian Tax Administration Annual Report 2003" (PDF). http://www.skatteetaten.no/upload/skd%20sm03_engelsk.pdf. Retrieved 8 July 2009. ^ "Special Reports | Oslo 'priciest city in the world'". BBC News. 1 February 2006. http://news.bbc.co.uk/2/hi/in_depth/4669400.stm. Retrieved 21 June 2010. ^ "Mercer: Consulting. Outsourcing. Investments". Mercerhr.com. http://www.mercerhr.com/pressrelease/details.jhtml/dynamic/idContent/1142150. Retrieved 10 June 2009. ^ "In Depth | Oslo 'priciest city in the world'". BBC News. 1 February 2006. http://news.bbc.co.uk/2/hi/in_depth/4669400.stm. Retrieved 10 June 2009. ^ polymorphing. "Sustainable Cities And Towns Campaign". Sustainable-cities.eu. http://sustainable-cities.eu/Sustainable-Cities-Awards-101-2-3-.html. Retrieved 21 June 2010. ^ Kahn, Matthew. "Living Green: Ranking the best (and worst) countries". Reader's Digest Australia. http://www.readersdigest.com.au/green-best-and-worst-countries. Retrieved 21 June 2010. ^ "Norges idrettshøgskole — forskning og høyere utdanning innenfor idrettsvitenskap — NIH". Nih.no. http://www.nih.no/. Retrieved 10 June 2009. ^ "Kunsthøgskolen i Oslo". Khio.no. 1 August 2000. http://www.khio.no/. Retrieved 10 June 2009. ^ "Universitetet for miljø- og biovitenskap — UMB". Umb.no. http://www.umb.no/. Retrieved 10 June 2009. ^ "Internett – Norges veterinærhøgskole". Veths.no. http://www.veths.no/. Retrieved 10 June 2009. ^ "UiO i tall". uio.no. http://www.uio.no/om/tall-og-fakta/uio-i-tall/. Retrieved 22 March 2012. ^ "A crowded field". The Economist. 27 May 2010. http://www.economist.com/node/16219707?story_id=16219707. ^ "Edvard Munch» Edvard Munch Biography 3". Edvardmunch.info. http://www.edvardmunch.info/biography-3/. Retrieved 3 June 2011. ^ Tone:. "Attractions: Museums and sights of Oslo, Norway". Visitoslo.com. http://www.visitoslo.com/en/attractions-and-sights.49105.en.html. Retrieved 3 June 2011. ^ "Oslo Museums | Oslo Museums". World66.com. 18 March 2005. http://www.world66.com/europe/norway/oslo/museums. Retrieved 3 June 2011. 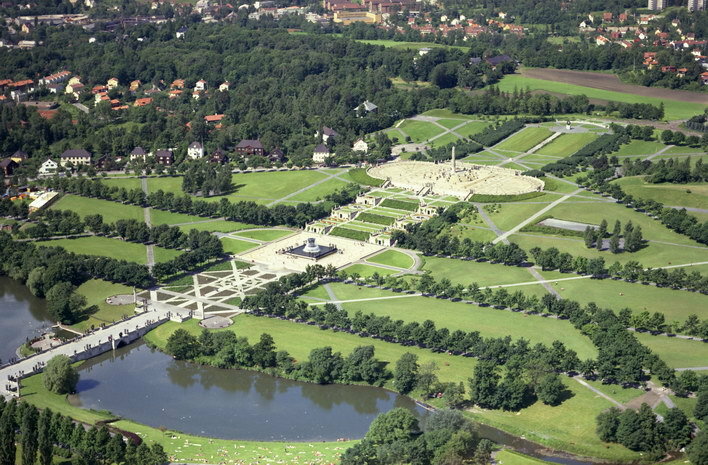 ^ "Frognerparken and Vigeland Park – Oslo". Cosmotourist. http://www.cosmotourist.com/travel/d/i/2424901/t/oslo/frognerparken-and-vigeland-park/. Retrieved 3 June 2011. ^ "Sinnataggen". Oslosurf.com. http://www.oslosurf.com/innhold/00000038.shtml. Retrieved 3 June 2011. ^ Norway dot com. "The Viking Ship Museum (Vikingskipshuset), Museums, Oslo Norway Directory". Norway.com. http://www.norway.com/directories/d_company.asp?id=671. Retrieved 3 June 2011. ^ Norway dot com. "Oslo City Museum, Museums, Oslo Norway Directory". Norway.com. http://www.norway.com/directories/d_company.asp?id=1742. Retrieved 3 June 2011. ^ "The Kon-Tiki Museum – Norway official travel guide". visitnorway.com. http://www.visitnorway.com/en/Product/?pid=28951. Retrieved 3 June 2011. ^ a b c "About the National Museum : Nasjonalmuseet". Nasjonalmuseet.no. http://www.nasjonalmuseet.no/en/about_the_national_museum/about_the_national_museum/. Retrieved 3 June 2011. ^ "The National Museum at Vestbanen : Nasjonalmuseet". Nasjonalmuseet.no. http://www.nasjonalmuseet.no/en/about_the_national_museum/the_national_museum_at_vestbanen/. Retrieved 3 June 2011. ^ a b "Nobel Peace Center Opens in Oslo". Norway.org. http://www.norway.org/ARCHIVE/policy/peace/peacecenter/. Retrieved 3 June 2011. ^ OJF (2011). "Oslo Jazzfestival". oslojazz.no. http://www.oslojazz.no/indexENG.php. Retrieved 5 July 2011. ^ Øya (2011). "Øyafestivalen – News". oyafestivalen.com. http://www.oyafestivalen.com/pages/eng/1-news. Retrieved 5 July 2011. ^ "Oslo Internasjonale kirkemusikkfestival". Kirkemusikkfestivalen.no. http://www.kirkemusikkfestivalen.no/index.php?lang=en. Retrieved 2013-03-12. ^ NobelPrize.Org (2011). "The Nobel Peace Prize Award Ceremony 2010". nobelprize.org. http://nobelprize.org/nobel_prizes/peace/laureates/2010/award-video.html. Retrieved 5 July 2011. ^ VisitOslo.Com (2011). "World Cup Biathlon – Official Travel & Visitor's Guide to Oslo, Norway". visitoslo.com. http://www.visitoslo.com/en/world-cup-biathlon.77706.242653rd17.tlp.html. Retrieved 5 July 2011. ^ Desu.No (2011). "Desu" (in Norwegian). desu.no. http://www.desu.no/. Retrieved 5 July 2011. ^ KNS.No (2011). "Fokus Bank Færderseilasen – KNS". kns.no. http://kns.no/nor/Regatta/Regattasider/Fokus_Bank_Farderseilasen/. Retrieved 5 July 2011. ^ Oslo-Filharmonien (2011). "Filharmonien". oslofilharmonien.no. http://www.oslofilharmonien.no/lang/en/. Retrieved 5 July 2011. ^ a b "Nationaltheatret – National Theatre: Photos and videos on Google Maps, the WIKI-way". 59.914386,10.7342595: Wiki.worldflicks.org. http://wiki.worldflicks.org/nationaltheatret_-_national_theatre.html. Retrieved 3 June 2011. ^ "7 of the Best Tourist Attractions in Oslo, Norway". Globe Tales. http://www.globetales.com/7-of-the-best-tourist-attractions-in-oslo-norway. Retrieved 3 June 2011. ^ Økland, Ingunn (10 September 2008). "Ibsen som jålete graffiti" (in Norwegian). Aftenposten. http://www.aftenposten.no/meninger/debatt/article2645410.ece. ^ Ullevaal Stadion. "Historikk" (in Norwegian). http://www.ullevaal-stadion.no/index.asp?id=26090. Retrieved 10 June 2009. ^ Redaksjon (07.03.2008). "Fire ganger mer krim i Oslo enn i New York" (in Norwegian). Osloby.no. http://www.osloby.no/nyheter/Fire-ganger-mer-krim-i-Oslo-enn-i-New-York-6537952.html. Retrieved 28 August 2012. ^ Oslo, Politidistrikt. "Kriminaliteten i Oslo" (in Norwegian). Politi.no. https://www.politi.no/oslo/strategier_og_analyser/statistikker_og_analyser/Tema_132.xml. Retrieved 25 August 2012. ^ Norsk Telegrambyrå (9 October 2012). "Oslo har like mange lommetyverier som Berlin" (in Norwegian). Vg.no. http://www.vg.no/nyheter/innenriks/artikkel.php?artid=10054623. Retrieved 9 October 2012. ^ "7 Dead in Oslo Explosion; 80 Killed in Shooting at Camp". PBS. http://www.pbs.org/newshour/rundown/2011/07/2-explosions-at-norway-government-building-pm-unharmed.html. Retrieved 23 July 2011. ^ "Om Ruter" (in Norwegian). Ruter. http://www.ruter.no/Om-Ruter-As/. Retrieved 1 December 2010. ^ "T-banen – forstadsbane og storbymetro" (in Norwegian). Ruter. http://www.ruter.no/Rutetilbud/T-bane/. Retrieved 1 December 2010. ^ "Trikk" (in Norwegian). Ruter. http://www.ruter.no/Rutetilbud/Trikk/. Retrieved 1 December 2010. ^ "Network map commuter trains" (in Norwegian). Norwegian State Railways. http://www.nsb.no/getfile.php/www.nsb.no/nsb.no/Bilder/Rutetabeller/Lokaltogkart%20A4.pdf. Retrieved 1 December 2010. ^ "T-baneringen" (in Norwegian). Oslo Package 2. http://www.avinet.no/Oslopakke2/database/faktaark_ny.aspx?id=46. Retrieved 1 December 2010. ^ "City Bus Network Map". 2013. https://ruter.no/Documents/Rutetabeller/Oslo/linjekart_bybuss_121209.pdf. ^ "Oslo S bygges om for 2.9 milliarder kroner" (in Norwegian). Rom Eiendom. http://www.romeiendom.no/getfile.php/wimages/Organisasjoner%20og%20enheter/ROM/Pressemelding%20OSLO%20S.doc. Retrieved 19 December 2009. ^ "Network map" (in Norwegian). Norwegian State Railways. http://www.nsb.no/getfile.php/www.nsb.no/nsb.no/Bilder/Rutetabeller/NSB%20Map.pdf. Retrieved 1 December 2010. ^ Holøs, Bjørn (1990) (in Norwegian). Stasjoner i sentrum. Oslo: Gyldendal Norsk Forlagg. p. 182. ISBN 82-05-19082-8. ^ "Båt til jobb og skole, eller bad og utflukt" (in Norwegian). Ruter. http://www.ruter.no/Rutetilbud/Bat/. Retrieved 1 December 2010. ^ "Passasjer/turist" (in Norwegian). Port of Oslo. http://www.oslohavn.no/passasjerer/. Retrieved 1 December 2010. ^ "Administration". Oslo Lufthavn. http://www.osl.no/en/osl/aboutus/80_Airport+administration. Retrieved 19 January 2010. ^ "Market". Oslo Lufthavn. http://www.osl.no/en/osl/businesstobusiness/_airlines/10_Market. Retrieved 19 January 2010. ^ "Economic crisis stops air transport growth". Eurostat. http://epp.eurostat.ec.europa.eu/cache/ITY_OFFPUB/KS-SF-09-091/EN/KS-SF-09-091-EN.PDF. Retrieved 18 January 2010. ^ "Rygge-London for én krone" (in Norwegian). Akershus Amtstidende. 17 July 2009. ^ "Information about Moss Airport Rygge". Rygge Sivile Lufthavn. http://www.en.ryg.no/kat/000005.asp. Retrieved 25 November 2010. ^ Sandefjord Lufthavn. "How do I get to Sandefjord Airport Torp?". http://www.torp.no/Pages/Artikkel.aspx?pkMenu=131&pksMenu=143&Language=EN. Retrieved 24 October 2009. ^ "Projected population – Statistics Norway". Statbank.ssb.no. http://statbank.ssb.no/statistikkbanken/Default_FR.asp?PXSid=0&nvl=true&PLanguage=0&tilside=selecttable/hovedtabellHjem.asp&KortnavnWeb=folkfram. Retrieved 23 July 2011. ^ Ole Kristian Nordengen Hanne Waaler Lier Pål V. Hagesæther. "Om 15 år kan det bo 100 000 flere i Oslo". Aftenposten.no. http://www.aftenposten.no/nyheter/oslo/article1139976.ece. Retrieved 27 June 2010. ^ "Polakker den største innvandrergruppen" (in (Norwegian)). Ssb.no. http://www.ssb.no/emner/02/01/10/innvbef. Retrieved 27 June 2010. ^ "Tabell 11 Innvandrere og norskfødte med innvandrerforeldre, etter landbakgrunn (de 20 største gruppene). Utvalgte kommuner. 1. januar 2009" (in (Norwegian)). Ssb.no. http://www.ssb.no/emner/02/01/10/innvbef/arkiv/tab-2009-04-30-11.html. Retrieved 22 January 2010. ^ Oslo kommune, Undervisningsetaten (4 January 2013). "Minoritetsspråklige elever i Osloskolen 2012/2013". Undervisningsetaten. http://www.utdanningsetaten.oslo.kommune.no/getfile.php/utdanningsetaten%20(UDE)/Internett%20(UDE)/EFP/Dokumenter/Antall%20elever%20fra%20språklige%20minoriteter%20i%20grunnskolen%2020122013.pdf. ^ Avhilde Lundgaard . "Foreldre flytter barna til "hvitere" skoler – Nyheter – Innenriks". Aftenposten.no. http://www.aftenposten.no/nyheter/iriks/article3228559.ece. Retrieved 25 March 2010. ^ Bredeveien, Jo Moen (2 June 2009). "Rømmer til hvitere skoler". Dagsavisen. http://www.dagsavisen.no/innenriks/article418561.ece. ^ Lundgaard, Hilde (22 August 2009). "Foreldre flytter barna til "hvitere" skoler". Aftenposten. http://www.aftenposten.no/nyheter/iriks/article3228559.ece. ^ Slettholm, Andreas (15 December 2009). "Ola og Kari flytter fra innvandrerne". Aftenposten. http://www.aftenposten.no/nyheter/oslo/article3424942.ece. ^ "Immigrants and Norwegian-born to immigrant parents, by country of birth1, (the 20 largest groups). Selected municipalities. 1 January 2012" (in (Norwegian)). ssb.no. http://www.ssb.no/innvbef_en/tab-2012-04-26-10-en.html. Retrieved 27 June 2012. ^ Statistics Norway – Church of Norway. ^ Haverkamp, Frode; Gude, Hans Fredrik (January 1992) (in Norwegian). Hans Gude. Oslo: Aschehoug. p. 59. ISBN 82-03-17072-2. OCLC 29047091. ^ Council of Europe (2011). "Intercultural city: Oslo, Norway". coe.int. http://www.coe.int/t/dg4/cultureheritage/culture/Cities/oslo_en.asp. Retrieved 22 May 2011. ^ a b "Partners – Oslo kommune". Oslo.kommune.no. http://www.oslo.kommune.no/the_city_of_oslo/international_cooperation/. Retrieved 27 June 2010. ^ "Miasta partnerskie Warszawy". um.warszawa.pl. Biuro Promocji Miasta. 4 May 2005. http://um.warszawa.pl/v_syrenka/new/index.php?dzial=aktualnosci&ak_id=3284&kat=11. Retrieved 29 August 2008. ^ "Christmas in Trafalgar Square: "Recycling the tree" and "About the tree" ''(Greater London Authority website)''". London.gov.uk. http://www.london.gov.uk/trafalgarsquare/events/xmas.jsp. Retrieved 27 June 2010. ^ Christmas tree recycling (City of Westminster Council website). David Brewster, ed (1830). "Christiania". Edinburgh Encyclopaedia. Edinburgh: William Blackwood. http://archive.org/stream/edinburghencyclo06edinuoft#page/354/mode/2up. "Description of Christiania". Traveler's Guide in Sweden and the Most Interesting Places in Norway. Stockholm: Adolf Bonnier. 1871. http://books.google.com/books?id=GYU2AAAAMAAJ&pg=PA211. "Christiania". Norway: illustrated handbook for travellers. Christiania: Chr. Tønsberg. 1875. http://hdl.handle.net/2027/nyp.33433081580908?urlappend=%3Bseq=80. Hunger. Knut Hamsun (1890). The ultimate book set in Oslo, "this wondrous city that no one leaves before it has made its marks upon him". "Christiania". Bennett's Handbook for Travellers in Norway. Christiana: T. Bennett & Sons. 1902. http://hdl.handle.net/2027/uc1.31822038219101?urlappend=%3Bseq=72. "Christiania". Bradshaw's Through Routes to the Capitals of the World, and Overland Guide to India, Persia, and the Far East. London: Henry Blacklock. 1903. http://books.google.com/books?id=W1YoAAAAYAAJ&pg=PA22. The Big Foxhunt. Ingvar Ambjørnsen (1983). Set in the late 1970s, telling the story of a young hash dealer. Beatles. Lars Saabye Christensen (1984). About growing up in the 1960s. Shyness and Dignity. Dag Solstad (1994). This page uses content from the English language Wikipedia. The original content was at Oslo. The list of authors can be seen in the page history. As with this Familypedia wiki, the content of Wikipedia is available under the Creative Commons License.